Crackdown of dogs on the beach? Reviewed by Edgeville Buzz on March 21, 2011 . 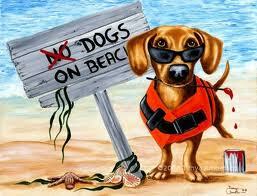 Crackdown of dogs on the beach? I am curious. Have you heard anything or had any information come your way about the increased enforcement of the no dogs on the beach and subsequent ticketing for owners up on thorndale and at the start of the path? The police have been out in and ticketing at lunch and handing out major $$ to people. Not sure if they have been out in the AM. While building up the city coffers, it seems a poor way to use staff given the increased crime in our area.